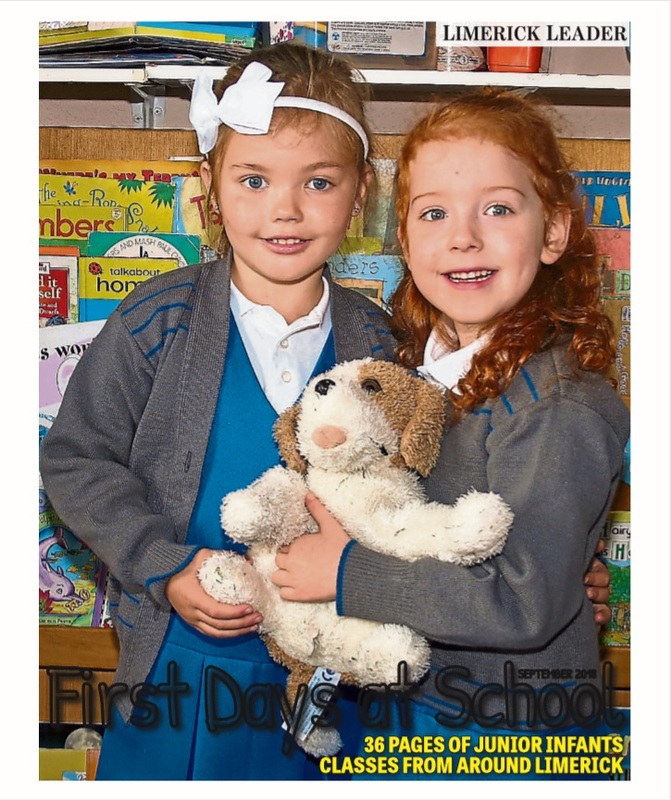 LIMERICK Leader photographers have been travelling the highways and byways of Limerick, capturing a very special moment in hundreds of children's young lives - their first days at school. A 36-page pull-out supplement featuring pupils from over 50 schools across Limerick will be available free of charge in our weekend editions, out this Thursday morning. “We are delighted to once again publish our First Days at School supplement,” Limerick Leader editor Eugene Phelan said. “This is one of the supplements I most enjoying editing each year as it's so heart-warming to see all the young children starting their out their academic lives, full of energy and joy.